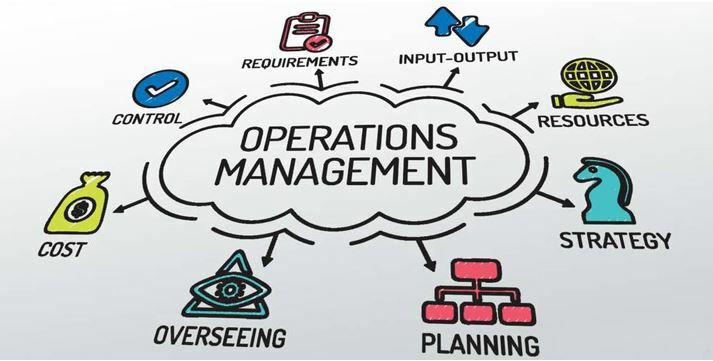 The major role of operations management is to make use of company strategies by ensuring that they are put into action, through various ways (Misra, 2008, p. 895. Sainsbury’s is one of the leading global retailers, competing with regional heavyweights such as Tesco, among others. The company was started in 1869, and right now it has about 1,200 supermarkets and stores around the globe, it has about 161,000 employees, better called colleagues (J-Sainsbury’s, 2014). Sainsbury’s has a team of managers, who are responsible for the implementation of important company strategies on a daily basis. Figure 1 below shows Sainsbury’s financial position in 2014. At the helm of the operations board is the Chief Executive (Mike Coupe), then the following heads: John Rodgers (Chief Financial Officer); Helen Buck (Business Development Officer); Rodger Burnley (Retail and Operations Officer); Tim Fallowfield (Company Secretary and Corporate Services Director) and Peter Griffiths (CEO Sainsbury’s Bank), among others (J-Sainsbury’s, 2014). Most of the operations led by various managers in the company are aimed at enhancing the company’s position in the market, and making it more appealing to its clientele in the end. For instance, the retail company works on an ecosystem-related operations management plan, which aims at enhancing the conservation of fisheries (Sainsbury, Punt & Smith, 2000, p. 731). The company uses the Management-Strategy-Evaluation design as a way of focusing on all the important details that enhance effective operations management (Sainsbury, Punt & Smith, 2000, p. 731). Figure 2 below shows the operational data in terms of environmental conservation, even as the company continues to expand. There are many factors affecting the performance of any business, such as Sainsbury’s, and most of them are external. One such factor is the availability of strong competitors such as Tesco. Market entrants also divide the market share, as they come up with brilliant strategies to win their customers. Just as it is for other competitors in the market, it is the aim of every operations manager to ensure that the major objective of each activity is high consumer satisfaction (Parker, 2012, p.45). Economic stability of different nations is yet another factor influencing the decisions of Sainsbury’s, especially in terms of expansion. Economic meltdowns, for instance, affect customers’ purchasing power, and this also applies to political instability. The power of the customers due to the availability of competitors and substitute goods also influence Sainsbury’s prices. This is the case too where the suppliers have an increased power, as a result of supplier collusion, among other factors. That operations management is an essential part of a business is a fact, and this manifests itself in a number of ways. For instance, it is the role of the process of operations management to support strategies that are developed by the board of directors (Pycraft, 2000, p.43). In this approach, it is the work of the operations management to come up with the essential resources that are going to make it possible for company strategies to be realized at the end of every operation (Pycraft, 2000, p.43). It is the work of the operations management to come up with ways that will ensure the most sustainable production processes, which ensure maximum cost-cutting for the company, as much as the strategies would allow. It is the work of the operations management to ensure that the final product stand out in the market, as a better option among many. One thing for instance, is ensuring that the product is made through green processes, and that it is of high value, such as the fish. This positioning of products will come in the form of differentiation, where a company like Sainsbury’s sells the same product as Tesco, but makes it look different to attract more consumers. This will ensure more unique product details, and better prices, making it possible for the retailers to make more profits (HSC, n. d). The use of an effective operations management plan ensures that the business focuses on different customer demands (HSC, n. d). For instance, Sainsbury’s is a major retailer that deals in a huge amount of products, which target many different categories of consumers. In order for the company to focus on various consumers as effectively as possible, there is a need to ensure that a blanket strategy is developed, and implemented for the same. Such a strategy is then shared among the many departments of a company such as Sainsbury’s as seen above. Moreover, it is the operations management team that is responsible for the management of production processes up to when products reach the clients. For example, in the fisheries management plan stated above, it is the work of Sainsbury’s to manage fish rearing up to when various finished product are sold to customers (Sainsbury, Punt & Smith, 2000, p. 731). This is an effective way of enhancing product quality; hence, positioning products as of high value in the market. The availability of an operations management plan makes it possible for the business to integrate various departments (HSC, n. d). Just as stated above, the Chief Executive comes up with a strategy, which ensures that the various involved departments know their roles towards the company goals in each project. The manager divides work among the departments and shows them where they need to integrate with other sectors and how they would be able to do it. Without a well-strategized operations management, it would be difficult for the departments to realize how they are supposed to contribute in various roles during the processes involved. This merit makes operations management an important tool of avoiding conflicts and saving time in the process of product development. Variation: services can be online or on-site, and there are delivery services too. Visibility: product labelling and shelf positioning makes it possible for store shoppers to see what they need. This is the same on the online stores. (Managers Door, 2013). 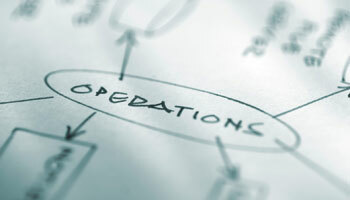 Every organization has its own objectives when it comes to operations performance. For many retailers like Sainsbury’s customer service delivery is at the top of everything. For Sainsbury’s, for example, this all begins with the perfect treatment of its staff, using the slogan, “How we manage is how we serve” (Lewis & Trevitt, 2000, p. 6). According to this strategy, a satisfied staff member is usually capable of offering quality services to clients at all times. Therefore, the goal of high quality service delivery for customers becomes realisable. It is also the objective of organisations to ensure that the clients not only get quality services, but also receive quality goods every time they do transactions. For Sainsbury’s, this has been done through effective operations management, for instance through the fisheries management plan, where the production of high quality fish is ensured right from the farm level (Sainsbury, Punt & Smith, 2000, p. 731). Colleagues who are satisfied always ensure that company goals succeed. Sainsbury’s has always wanted to ensure that its clients come back at all times. In a situation where delivery services are required, happy colleagues will always ensure time is kept (Annual Report, 2011). Through this annual report of 2011, the company found out that it was able to record at least 21 million transactions on a weekly basis, in the food sector, and this was higher than its previous fiscal year (Annual Report, 2011). This was a sign that the operations management’s goal of reduced prices and enhanced product quality worked perfectly, thanks to making Sainsbury’s a “Great Wok Place”. Businesses also have the goals of enhancing their competitive advantage through growing in other ventures. Sainsbury’s has focused on this by developing non-food sectors to get a larger share of the market (J-Sainsbury’s, 2014). For instance, it developed the banking services as a way of grasping the financial market, to increase its growth. Moreover, other sectors such as the clothing brand, made it possible for the company to multiply its sales, according to the 2011 Annual Report. With these objectives, Sainsbury’s has been able to survive tough competition from many huge and small market entrants, to remain a force in the market, for many years. This is a sign of the important role an effective operations management strategy plays in the development of any business. HSC., (n. d) Part 1: Role of Operations Management. J-Sainsbury’s., (2014) Annual Report and Financial Statements, 2014. Lewis, R., & Trevitt, R. (2000) Business: Vocational A level. Cheltenham: Stanley Thornes. 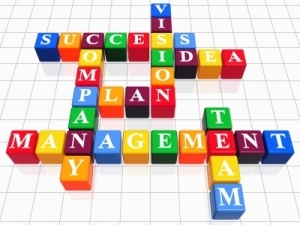 Managers Door., (2013) Top 5 – The Four V’s of Operations Management. Misra, K. B. (2008) Handbook of performability engineering. London: Springer. Parker, D. W. (2012) Service operations management: The total experience. Cheltenham: Edward Elgar. Pycraft, M. (2000) Operations management. Cape Town: Pearson Education South Africa. Sainsbury, K.J., Punt, A.E, & Smith A.D.M., (2000) Design of operational management strategies for achieving fishery ecosystem objectives. Journal of Marine Sciences, 57, 731-741. The courier industry is one of the most integral parts in the American economy. It is involved in the transportation of a variety of products like drugs, packages, bulk materials and documents to businesses within USA and outside its borders without which the whole economy would come to a standstill. The same day delivery service is also a vital part of the just in time nature of the economy of the US. This multi billion industry has more than seven thousand businesses in it in direct competition with the big four courier firms, (DHL, UPS, FedEx and USPS) and with each other. In the recent past, competition between FedEx and UPS, two of the largest courier a company, has intensified as their core business increasingly overlap. UPS traditionally dominated the overnight delivery market while FedEx dominated ground delivery. With each moving to its rival opponent’s domain, the need to create competitive priories is even stronger because this is the only way for the companies to retain their businesses and deliver value to their shareholders. FedEx’ relies on technology to drive its competitive strategies and maintain their business operations. FedEx business model is highly dependent on data between the businesses and its customers. FedEx thus invests more than $1 billion each year to maintain its technology and building a wireless infrastructure to relay timely information on possible problems in the delivery route, enhance efficiency and cut business costs. I will use FedEx as a study case to analyse how a business can gain competitive advantage using competitive priorities. FedEx Corporation, NYSE:FDX is a Memphis based logistics services company which offers courier services, logistics solutions. FedEx is one of the largest logistics companies in the world delivering small packages to the US and to more than 220 companies in the world. FDX Corporation was founded in 1998 after, FedEx Corporation, which had been incorporated the previous year acquired Caliber systems Inc and its subsidiaries like RPS, a small package ground transportation company, Roberts Express which offered expedited shipping, Viking Freight, a less than truck load freight courier and Caliber Technology, provider of logistics and technology solutions (FedEx, 2012). After this acquisition, FDX started offering other courier services apart from express shipping. FDX, later rebranded as FedEx Corporation was formed to oversee the operation of all the acquired subsidiaries including Federal express, its air division. It also rebranded the subsidiaries to have the FedEx brand in all divisions with federal express being renamed FedEx Express, RPS renamed FedEx ground, and Roberts Express renamed FedEx Custom critical, Caliber Logistics and technology were combined to make up FedEx Global Logistics. In 2012, the company’s annual revenue was 40 billion which a 13% increase from the revenues was for the previous year. The earnings per share on the other hand for 2011 grew 20%. In the same year, the company increased its fleet of electric and hybrid electric vehicles by 20% to 408 to curb air pollution (FedEx, 2012). During the first quarter of 2010, the company spent an estimated %4.9 million in campaigns lobbying against the government’s move to sign the Federal Aviation Administration reauthorisation bill which would make it easier for some of its employees to unionise terming it a bailout on UPS, FedEx’s main competitor in the US market (FedEx, 2012). To survive in these kinds of competitive markets, companies have to adopt strategies to survive. Managers can only take advantage of the changes in the wider environment by using appropriate strategies. Effective strategies allow the firms to use their resources for the best outcomes. The next part of the paper looks at what strategy is. Strategy is an outline of how an organisation intends to achieve its goals. The goals of an organisation are the objectives the owners set for the business while the strategy sets out the route to achieve these objectives. In the early years of the businesses, the strategy taken by the business is fairly simple: to survive and achieve growth targets. However, as the firm increases in size, it must select narrower set of strategies referred to as competitive strategies to survive in the face of strong competitors. According to Porter (1996), competitive strategy is about being different. It refers to choosing a different set of activities to deliver the company’s mix of value to the customers. Markides (1999) argues that the essence of developing a strategy for the organisation is to select one strategic position that a company can claim as its own and pursue it. A strategic position represents a company’s answer to the following three questions: who should the company target as its customer? What products/services should the company offer to the target customers? And, how can the company deliver these products efficiently? These three questions help a company to choose a success strategy that is different from that of its competitors (Henry, 2008). Another view of strategy is that given by Kay (1993). According to Kay (1993), strategy is a match between the organisation’s internal capabilities and the relationship with stakeholders. Strategy is therefore concerned with the firm’s use of analytical techniques to understand and hence influence its position in the market. Since the environment within which the company operates is constantly changing and the needs of its customers shifting, a company must ensure that its internal resources and capabilities are more than sufficient to meet these needs since companies do not exist to survive but to grow and prosper in the competitive environment (Henry, 2008). An effective strategy gives a firm three benefits. The first benefit is a strategy as a source of economic gains. Secondly, it provides the firm with a basis for resource allocation. And thirdly, guides the firm’s decisions regarding management and organisation. One main strategy that companies use is the development of consistent set of objectives which are known as Competitive priorities. These priorities are: Cost, Quality, Time and Flexibility. The first competitive priority that a company can choose is cost leadership. This is a strategy whereby the cost of a given product in a company is relatively low compared to that of competing products from other companies. This strategy does not jeopardize the quality of products. It rather focuses on high profit margin based on competitive price (Chard, Jacobs and Aquilas, 2004, p.35). In order to ensure effectiveness of cost as a competitive priority, companies operations should be guided by economies of scale. They should also minimise all other operational costs, which include cost of labour and materials. The employees should also be well trained so as to maximise their productivity. The second priority is quality. Customers always intend to purchase products which they consider being of high quality. For this reason, companies should ensure that they avail high quality goods and services to customers. Care should be taken in pursuing quality as a competitive priority because there are differences in what customers term as high quality. For instance, there are customers who search for products that possess superior features. There are two dimensions of quality; namely, high performance design and goods and services consistency (Chard, Jacobs and Aquilas, 2004, p.35). High quality design involves the production of goods which address the quality demands of the customers. On the other hand, consistency involves building confidence among clients by ensuring availability of goods and services upon demand. The third competitive advantage is differentiation as regards to time in delivery speed and reliability. As much as a company pursues production of high quality products, production should not take too long. This is because delays in production and delivery upset customers. Chard, Jacobs and Aquilas (2004) outlined two dimensions of effective delivery. These are rapid delivery and on- time delivery. Rapid delivery involves quick reception of customers’ orders while delivery on- time involves high frequency of on-time delivery of goods and services. In order to utilize time as a competitive priority, companies should make use of technology and employ effective work force. Therefore, in the process of delivery, companies should ensure that deliveries are “in accordance with the promises made to customers”. This is referred to as dependability (Hayes and Wheelwright, 1984, p. 24). The fourth priority is flexibility of product mix and adaptation to changing markets. Competition always leads to change of products in the market by different companies. Therefore, as the market changes and customers’ needs and expectations shift, the company should device ways of accommodating these changes. This should be geared towards winning the confident of customers. Chard, Jacobs and Aquilas (2004) categorises flexibility into product and volume flexibility (p. 36). Product flexibility is the ability of the company to offer goods and service that suits the customers’ needs. With this, a product may be dropped out or introduced to the market depending on the market trend. Volume flexibility is the strategy of increasing or decreasing the production of a given product in order to accommodate changes in its demand. Hayes and Wheelwright (1984) expound aspects of flexibility as the ability to change volume of production, time taken to produce, mix of different products or services produced. Flexibility also involves the ability to innovate and introduce new products and services (p.24). Flexibility enhances healthy competition as competition is not based on speed of production but customized products. In addition, it helps to reduce competition based on cost. This is so because production of customized products may require extra resources for production. Companies which employ this strategy ensure that its products are varied, and its workers are skilled and competent enough. Scholars hold divergent views regarding the criteria for utilization of the four competitive priorities. For instance, Hayes and Wheelwright (1984) companies cannot simultaneously succeed when they pursue all the priorities simultaneously. This is because there is the likelihood that such companies have to allow different operators to implement priorities at different times. The resultant lack of coordination leads to inability to achieve objects. The two, therefore, advocate for trade-offs whereby companies pursue one competitive priority to greater levels than the other priorities. On the other hand, there are other scholars who argue that companies can still succeed while pursue the four competitive priorities simultaneously (p. 25). In the next part of the paper, an analysis of FedEx competitive priorities will be done. The environment in which FedEx operates is quickly changing due to the financial crisis and globalisation which has resulted into an increase in the number of competitors in the courier business. During the crisis, the quantity of global trade was severely affected which in turn affected the revenues of logistics companies, including FedEx. Although the financial position of the company for last year looked promising, the future is too vague to predict for FedEx. This means that the company must look for ways to strengthen its position in the market. One of the ways that company can do this is by exploiting competitive priorities (Porter, 1998). The main competitive priority for FedEx is time. In the same day delivery business, delivery on schedule is a vital component in winning customers trust. According to Chase, Jacobs, et al 2006, a company can differentiate itself using time as its competitive priority in two ways: First, is through speed delivery speed and secondary through reliability and ability to deliver the goods when promised. Some of the packages that FedEx is in charge of delivering like medical supplies are extremely time sensitive and hence the businesses is always on the lookout for ways to reduce delays in the supply chain to ensure that packages arrive on time. One of the ways that FedEx achieves this is by controlling every part of the delivery chain. The company owns aircrafts, delivery vans and sorting facilities to ensure reliable on time delivery. As early as 1980 during the initial years of the company, FedEx had a fully integrated system to monitor the location of vans, track packages and communicate with customers to ensure that all packages were picked and delivered on time. In the last few years, the company has been replacing the old wireless system with Wi-Fi, Bluetooth and cellular networks, GPS which enables customers to track their packages in real time using their WAP enabled phones and PDAs. In addition to this, the company has over the years build a seamless international and domestic network linked by air and ground delivery channels which ensures that customers needs are well met (Berger, 2011). The second competitive priority for the company is flexibility. According to Chase, Jacobs, et al 2006, flexibility involves the ability to provide a wide range of products or services without delay to meet the needs of the client. The company has always been a leader in adaptation of new technology to better meet the expectations of its clients. For instance, the company was the first to start offering delivery at 10.30 am after identifying a need within the market to have their goods delivered early so that they have enough time during the day to work on them. The company also formed a strategic alliance with U.S. Postal Service to offer its customers more flexibility in drop-off points for their parcels (Porter, 1998). The third competitive strategy that FedEx pursue is cost leadership. According to Porter (1998), cost leadership is concerned with producing high volumes of standardised products to take advantage of economies of scale. FedEx offers its customers a range of flat rate fees and delivery options to ensure that all customers well satisfied. To reduce costs, FedEx uses technology to gather data and through outsourcing some of its operations such as delivery. The fourth competitive strategy for FedEx is quality. According to Porter (1998), quality is concerned with excellence in operations, product based quality and value based quality where the organisation offers excellence at an acceptable price. To maintain quality, FedEx trains all its employees the importance of correcting a mistake before it goes further on since the mistake becomes more costly to fix once it is allowed to go on. For instance, sorting goods before shipping helps the company avoid wrong shipping. The company also maintains its quality by offering timely delivery which has earned it more satisfaction among its customers than its rival UPS. Quality at FedEx is also maintained by the use of information technology, such as Wi-Fi and iPhone apps, at every point of its delivery channel which enables the company to gain important information about picking up its customers’ parcels and relying information to the customers about where the package is at every step of delivery. The use of technology helps to communicate with the customers in case of delays to maintain their loyalty. In conclusion, a company should seek to exploit its competitive priorities to ensure survival in times of competition. Competition is normal in every industry and so is the case in US courier industry in which FedEx operates. In the recent years, intense competition over the US market has increased for FedEx both from its main rival UPS and also smaller courier companies which fill the gaps that larger courier companies like UPS, FedEx and DHL are unable to fill due to their large size. In such competitive markets, a company has to come up with a strategy not only to survive but grow in the face of competition. Formation of a competitive strategy involves matching the internal capabilities of the firm with needs of its stakeholders to tap into the changing needs of the market. One of the best strategies that a firm can use is called competitive priority. Competitive priorities that affirm can utilise to gain competitive advantage are cost leadership, flexibility, quality of products and timely delivery. The first competitive priority, cost leadership, is concerned with producing a high volume of standardised products to gain economies of scale. FedEx offers to its customers a wide range of services at acceptable prices due to its large market size which has enabled the company from a distribution network in the US and other countries which allows it to pick and deliver parcels more conveniently and cheaply. It has also reduced its operating cost by use of technology to gather data which is vital in logistics. The second competitive priority that a firm can utilise is quality. This is concerned with a company attaining excellence in its products and offering these products at a competitive price. One of the ways that FedEx maintains its quality is through the use of IT to ensure that its customer’s packages are delivered on time. Timely delivery is enhanced by its already established efficient delivery channel which allows it to collect and deliver packages as per customer’s demands. The other competitive priority a firm can pursue to gain a competitive advantage is flexibility in the mix of products and in offering new products. FedEx achieves this by observing the changes in demands for customers to offer new services like late night delivery and linking up with online sellers, like Amazon, to provide online shoppers with convenient transport of their shopping. The last competitive priority is timely delivery and reliability which FedEx does by ensuring that customers receive all their packages in time by integrating IT in their delivery system to rely information about possible delays to help take corrective action and help customers track their packages to avoid uncertainty. Berger, A. (2011). Case Study – FedEx Corporation: Strategic Management. New York: Grin Verlag. Chard, R., Jacobs, F., & Aquilas, N. J. (2004). Operations Management for Competitive Advantage. New York: McGraw- Hill. Davis, M. M., Aquilano, N. J., Balakrishnan, J., & Chase, R. B. (2005). Fundamentals of Operations Management. New York: McGraw-Hill Ryerson. Hayes, R. H., & Wheelwright, S. C. (1984). Restoring Our Competitive Edge: Competing Through Manufacturing. John Wiley: New York. .
Porter, M. E. (1998). Competitive Strategy: Techniques for Analyzing Industries and Competitors. Free Press.